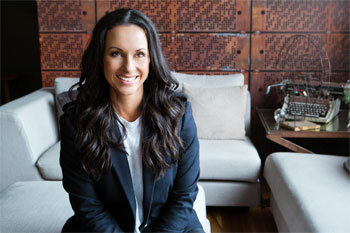 Jacinta McDonell launched the highly successful US franchise Anytime Fitness into the Australian market in 2008, alongside her brother Justin. With over 430 clubs in Australia and over 3,000 clubs with three million members worldwide, Anytime Fitness has grown to be Australia's number one health club chain. An inspiration to many Australian business women and a mother of three, Jacinta has now exited Anytime Fitness and has turned her entrepreneurial passion towards two new business ventures that aim to change the way businesses view giving and social responsibility. A strong advocate of using 'business for good' – Jacinta established The Human Kind Project in 2015. A not-for-profit foundation that funds life changing projects in Africa and India, The Human Kind Project connects projects to businesses to build brand equity whilst creating lasting social change. She and her team now work tirelessly to fund and support organisations that deliver change in the world. In December 2015, Jacinta opened Urban Yoga, a new style of yoga studio based in the heart of Surry Hills. The studio offered a new approach to yoga practice, with sequences taught as movement to music with beautiful visuals to give students a fully immersive experience. The launch of W1LL in October 2017 was the next step in Jacinta's mission to make yoga accessible to everyone – all levels, wherever they are – to help people find better health, well-being and peace. To support The Human Kind Project, W1LL contributes to changing the lives of 37,483 people in a community in Malawi with a portion from each purchase at the studio going direct to the non-profit. From spending time on Necker Island with Richard Branson and the Virgin Unite team to small thirdworld villages with The Hunger Project, Jacinta continues to reinvent the way to view business, it's purpose and the way we view purpose in our own lives. Jacinta splits her time between Byron & Sydney and has three beautiful children. The Human Kind Project is completely registered with the ACNC and as a DGR2 status foundation looks to raise funds for and on behalf of worthy and like-minded not for purpose organisations. Human Kind Project is an organisation invested in mindset change, our focus is to end inequality within the global community. Question: Can you tell us about how The Human Kind Project was started? Jacinta McDonell: I have always been interested in social business. In 2014 I took a trip with Business Chicks and The Hunger Project to Malawi. I was already established and successful in my field, a mother of three and about to turn 40 but I was searching for a sense of connection and purpose. We witnessed people transforming themselves out of poverty and saw firsthand the leadership skills that are being developed to change communities. The idea for Human Kind project was born on that trip – I knew I wanted to be a voice for business people and this was my role in helping people out of poverty. 8 months later I established the foundation partnering with some of the best organisations in the world driving sustainable change in developing communities, predominantly in Africa and India. Question: What projects does The Human Kind Project fund? Jacinta McDonell: We support the Global Goals and are committed to ending extreme poverty, fighting inequality and injustice and ending world hunger by 2030. We believe that social innovation creates sustainable change and we connect businesses and people in Australia to our causes, helping to fund projects such as micro-finance loan programs, girl's education and maternal healthcare. Question: How can Australians support The Human Kind Project? Jacinta McDonell: I believe that businesses can change the world so we work with businesses and entrepreneurs to help them build a give back model into their businesses. We have created a way for businesses to connect to a cause that resonates and create a larger impact in the world. People can also get involved in our immersion trips; we have a group going to India in November this year and another group trip to Uganda in 2019. These trips really allow you to really see and experience the work and transformation that is happening within the communities we partner with. Question: How can other Australians make a difference? Jacinta McDonell: Anyone can donate to any of our projects that resonates with them. All of the projects are on our website www.humankindproject.org.au. We can get stuck in thinking we need to do big things to help, but a little goes a long way and every single person has the opportunity to be a part of something bigger than themselves. Question: Can you share how you talk to your children about third-world countries? Jacinta McDonell: We talk about what it's like to live here in Sydney and how other cultures live. I believe in 'doing' so all of my children will travel with me to see the work we support. Thandie who is my oldest has already been to Africa twice on trips to see the communities we support and meet the amazing women and men transforming their communities. Arie will be 9 when she comes on her first trip in 2020. I believe they have the most profound understanding when they see other cultures and I am lucky enough to be able to show them. Jacinta McDonell: I start early (between 4:15 and 5:00am). Most mornings include some sort of movement (yoga, walking, pilates reformer) and meditation or journaling before I drop the kids or head to work. I avoid the phone the first hour of my day. I have found this makes me less reactive and much more productive in my day and the way I approach my to do list. My work day can be varied based on what is needed but is generally between meetings with the team, overseeing production and being in the studios. It really just depends on what is happening. I am home usually by 5:30 to see the kids (or I pick them up from school). I have an early dinner and am early to bed, usually by 8:30pm. Question: Can you tell us about your training schedule? Jacinta McDonell: If we are creating new classes, there is a lot of yoga during the day as I work with our Creative Movement Director, on other weeks its yoga about 4 times per week either at home or in the studio and then sometimes outdoors and the odd pilates reformer as I like the resistance. Jacinta McDonell: Sure, no phone for the first hour. Stillness before going to work (even 5 minutes of meditation or journaling). A new wave of yoga: W1LL launches online platform and new-look Surry Hills studio.